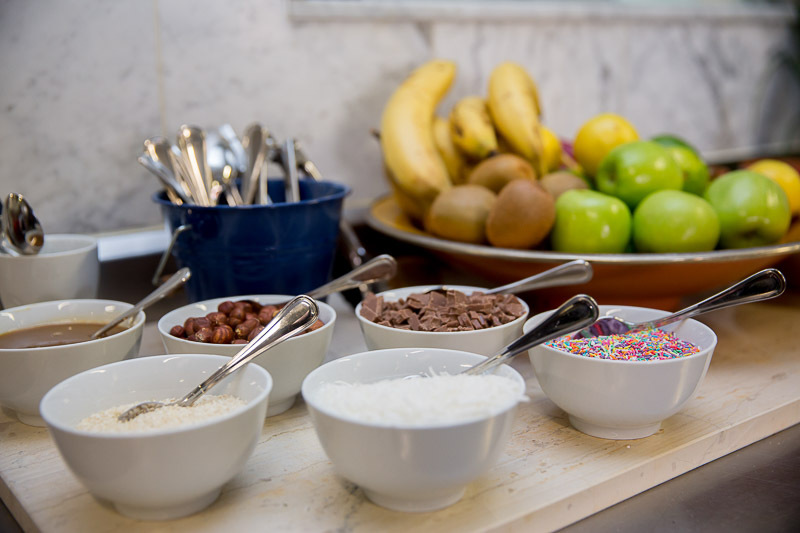 We learned that there were a lot of health benefits from including dairy foods in our diets. Dairy foods are number one for bones and teeth. There are also lots of important nutrients such as calcium and protein in the full range of dairy products. The event started off with Karen Martini showing us how to make three delicious recipes. There was Lasagna, which included amazing milk, Scones and Ricotta Hotcakes. In each of these fabulous recipes, they included other amazing dairy products such as cheese, butter, and ricotta cheese. 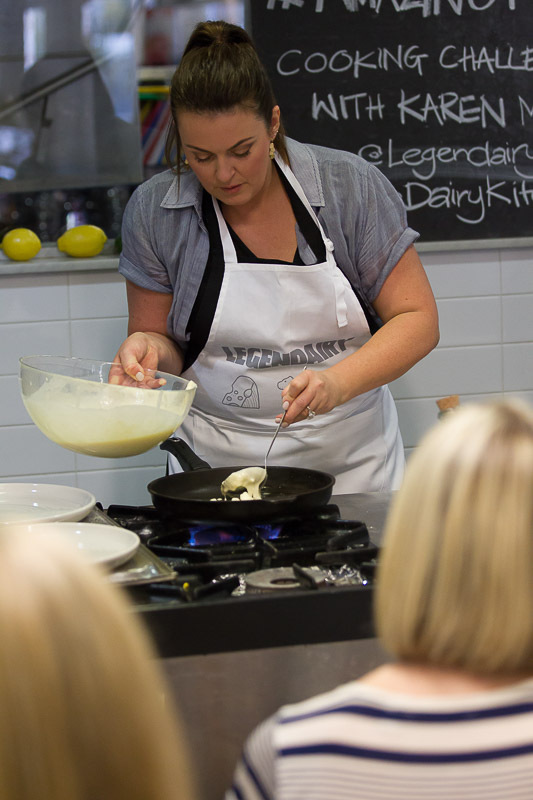 After making the first two recipes, Karen then got on to making her Ricotta Hotcakes. As they were bubbling away and getting ready to be flipped over, Karen explained to us that we will be going to make these Ricotta Hotcakes. 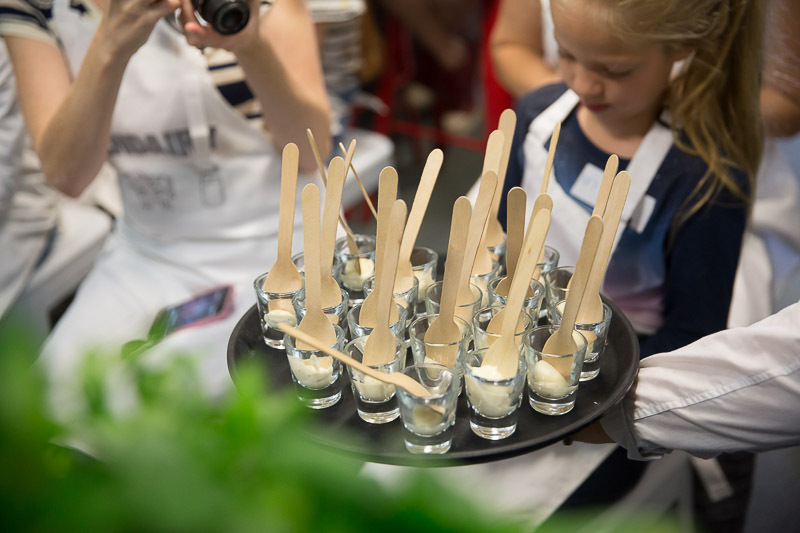 There was a challenge amongst us bloggers to cook with our little helpers and make amazing hotcakes served with either savoury or sweet decorations. Miss 8 and I headed to our cooking station and started our hotcakes. 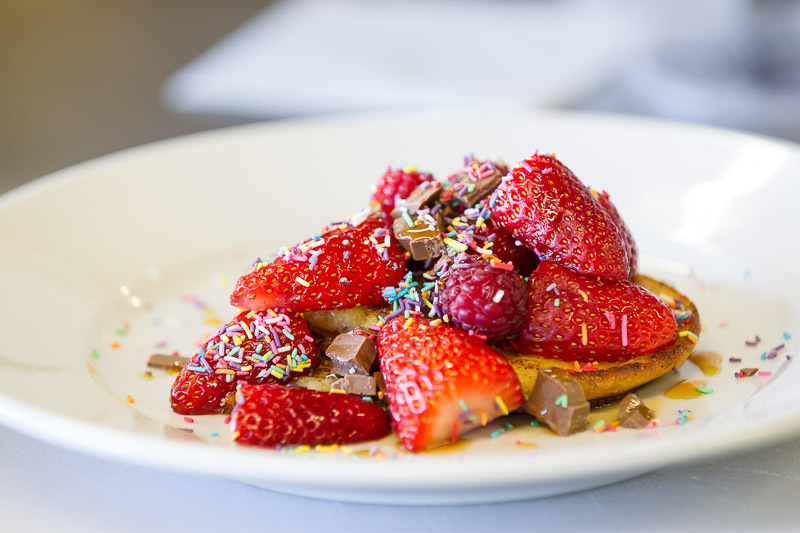 We went the sweet route and ended up with these oh-so-good hotcakes covered in strawberries, raspberries, maple syrup, chopped chocolate and a generous amount of sprinkles! 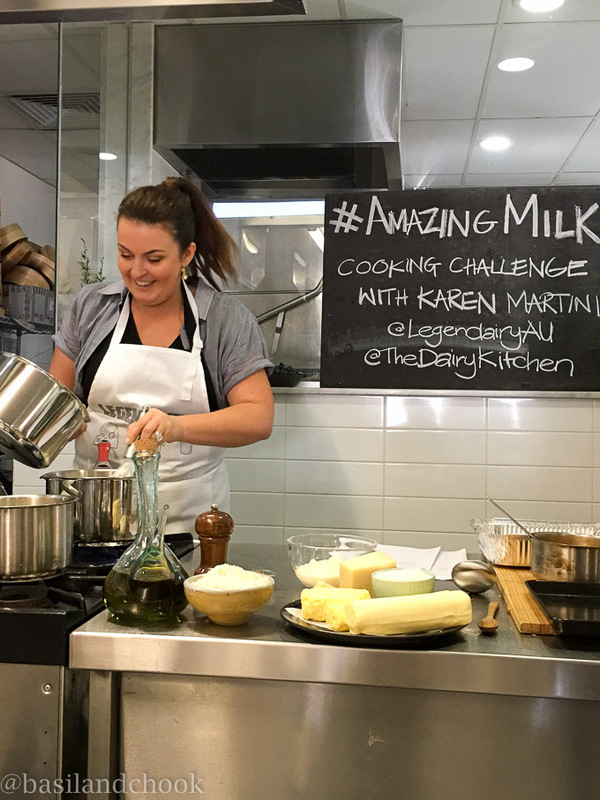 We had a fantastic time meeting Karen Martini, cooking and learning more about amazing milk and the nutritional benefits that dairy provides us. 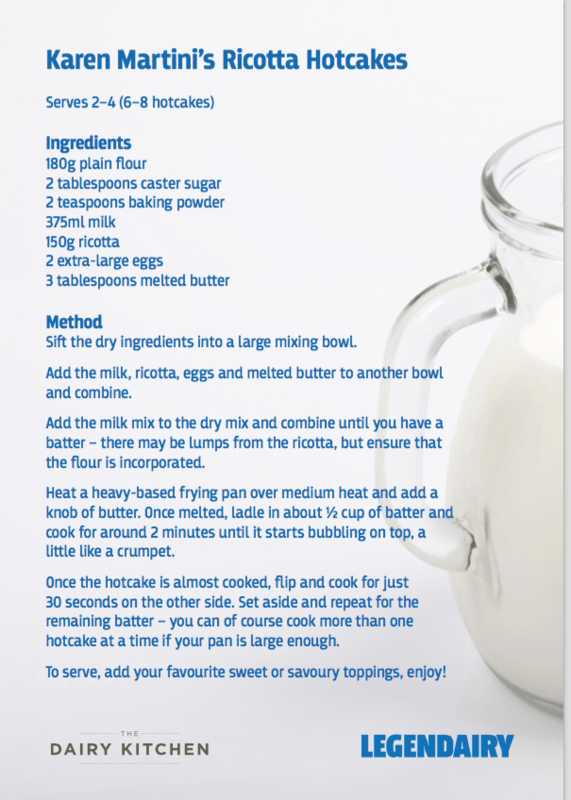 If you would like to make Karen Martinis Ricotta Hotcakes, then I have lovingly included the recipe here! 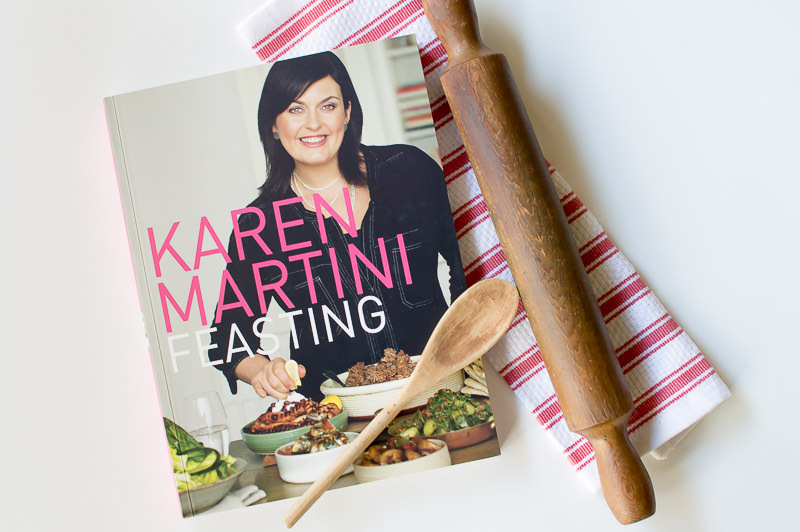 And for all my fabulous readers, I have a Karen Martini cookbook giveaway! 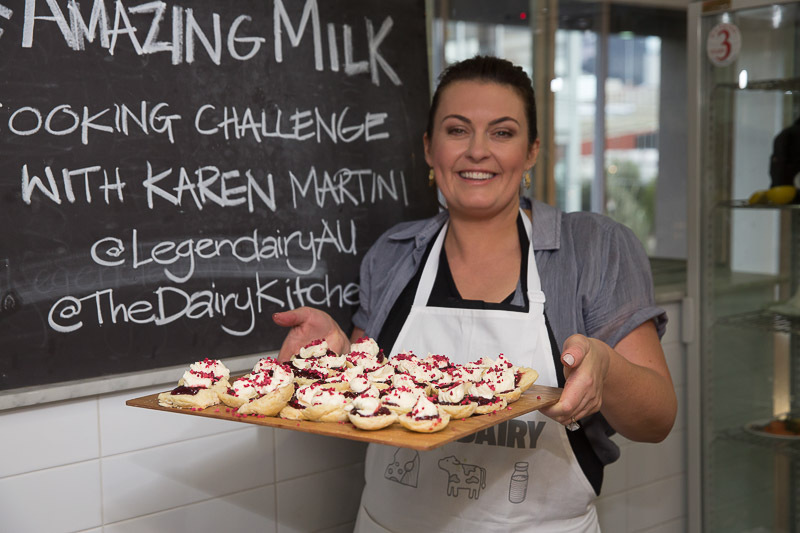 There are Five x copies of Karen’s favourite cookbook, “Feasting” Valued at RRP $31 each. If you want to get your hands on one of these fabulous cookbooks, all you have to do is tell me in the comments below “What favourite recipe do you like to make using Amazing Milk?” Competition is open to Australian residents only and ends on Wednesday 15th June 2016 at 12.00 am(AEST). Winners will be announced on the blog. The competition has now closed. The winners are Elisha, Effie and Amy! Thank you for entering this great giveaway. I hope you enjoy your Karen Martini cookbooks. Its very boring but always satisfying. It got me through all 3 pregnancies and I just love it. The humble chocolate milkshake. Frothy and chocolatey and oh so delicious. Not boring at all Elisha! The humble chocolate milkshake is a favourite drink in our house. We have one important request though, the milk has to be very cold. Icy cold milk with lots of chocolatey syrup and a few scoops of ice cream makes a perfect nights sweets! I’m sure there are many treats but I love cakes and muffins made with milk. I have a go to recipe for muffin mix that is a no fail and mix what ever fruit I have into them.